In previous articles, the case for oil stocks as long-term investments was made, particularly those in North America. The global demand for oil and natural gas is increasing, which makes these excellent long-term investments. 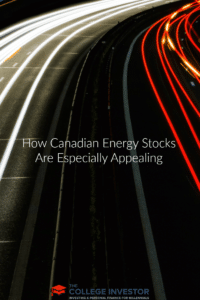 Due to political instability and other issues around the world in oil-producing regions, it is not just North American oil and natural gas stocks that are particularly appealing — those in Canada are especially appealing. Repsol (PINK: REPYY), a major Spanish oil and natural gas company, is looking to spend billions to buy North American energy assets. Like all others in the sector, Repsol wants a secure, stable source of natural resources to fuel its operations for the future. At present, much of the world’s oil and natural gas comes from unstable or dangerous areas such as the Middle East and Africa. That is what has led Repsol to the North American energy sector. But in North America, the United States can be treacherous for oil and natural gas operations, too. BP (NYSE: BP), the British oil giant, is a long way from leaving its troubles behind in the Gulf of Mexico. In addition, it is the United States, not Canada, which is holding up the Keystone Pipeline. Intended to carry oil and natural gas from Canada to refineries primarily in Texas, the Keystone Pipeline was first proposed by TransCanada Corporation in 2005. Construction was approved by Canada in 2007. It is still awaiting final approval in the United States, despite the myriad of much-needed economic benefits it would create for both countries. For investors ranging from Repsol to the individual there are a wide range of choices in publicly-traded companies operating in the Canadian oil and natural gas sector. Warren Buffett, considered by many to be the best investor ever, is a major shareholder in Suncor Energy (NYSE: SU). The stock performance of Suncor has certainly rewarded Buffett and other shareholders, as has its above average dividend yield. For 2013, Suncor Energy is up almost 10%. Over the last quarter of market action, however, Suncor Energy has risen more than 20%. Also promising over the last two quarters have been developments for two small-cap oil and natural gas firms in the Canadian energy industry. Octagon 88 (OTCBB: OCTX) is up more than 50% due to promising studies about its assets in Canada. It could be a member of the “billion barrel club” if reports prove to be correct. Octagon 88 just received approval for a drilling license, which is a very positive development. For its most recent quarter, Americas Petrogas reported a 75% increase in net revenue and a significant jump in sales volume. Like Octagon 88, Americas Petrogas has also received bullish reports in on its energy holdings. To maximize shareholder value, Americas Petrogas has hired the investment banking firm of Jefferies LLC, which is also very positive for the owners of the stock. According to the U.S. Energy Information Administration agency, global energy consumption should rise nearly 60% over the next 30 years. Based on the current turmoil in the Middle East and Africa, energy assets in North America should increase in value over that period. Those in Canada should be the most appealing of all, due to the unique alluring features of the energy sector for that country. What are your thoughts on Canadian energy stocks? Definitely a good option for investing, Jonathan. Considering that the financial market in the US is a bit volatile at the moment. However, how do you think the US’ strive to be independent of foreign oil affect its energy sector? Most seem to assume that this very reason is good enough to start investing in it.